Ask most kids their favorite holiday and most of them will undoubtedly say Halloween. They get to stay up late, take home tons of candy, and play dress up! This Halloween, instead of running to countless stores to find your child's costume, try making it yourself! 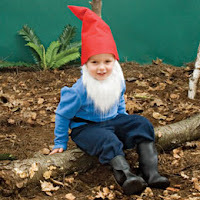 Here are a few creative and fun DIY costumes that you and your kids can make together. 1. If your kids want to dress up as a group try making these adorable toadstool and gnome costumes. For more than one toadstool and gnome try changing the colors for each child to make a garden! 2. 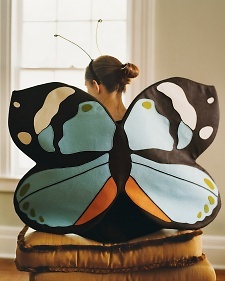 A beautiful butterfly is always striking and can be a great costume for a small child even up to a teenager. 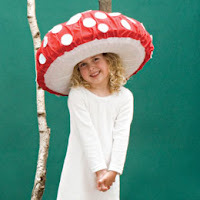 Let your child in on the creative process and allow her to choose her own color combinations. 3. 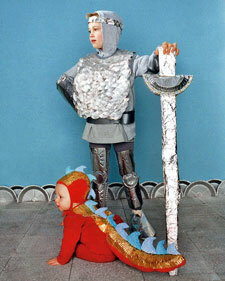 If your son just doesn't want to go the superhero route, have him help you make this dashing knight costume. 4. 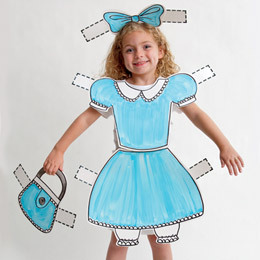 For an alternative to the princess, try this creative paper doll costume. Get your child involved by letting her choose the color. She can also help by cutting and coloring. 5. 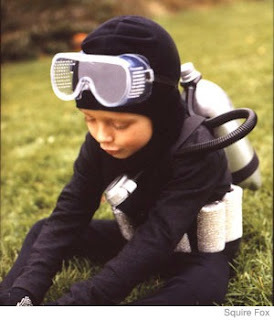 Your child will want to jump in and start exploring the deep in this crafty scuba diver costume. But put your sewing machine away, because this is a new sew costume.